Austin, TX Round Rock ISD students David Venish, Kara Barfield and Jordan DeStefano created an original short film as part of The John Lennon Educational Tour Bus original series PERSPECTIVE. 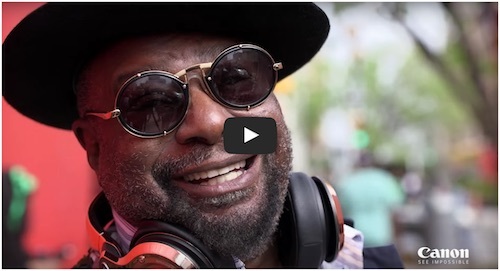 The piece features funk legend George Clinton and Parliament Funkadelic and explores the peaks and valleys within the professional lives of musical artists. The students conceived the project at SXSW and premiered the final edit at Cedar Ridge High School with Canon U.S.A., Inc., Juniper Networks, Securematics and Other World Computing. Many thanks to George Clinton, Round Rock ISD and Texas Association of School Administrators.